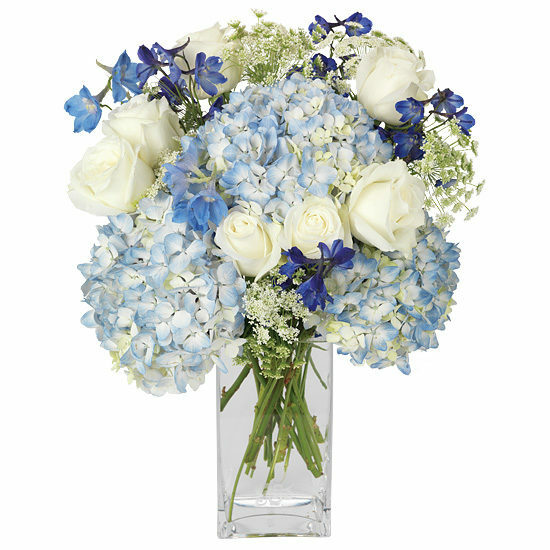 Inspired by those pristine winter days when the clear blue sky makes fresh snow sparkle, we bring pretty blue and bright white together in this flurry of flower favorites. 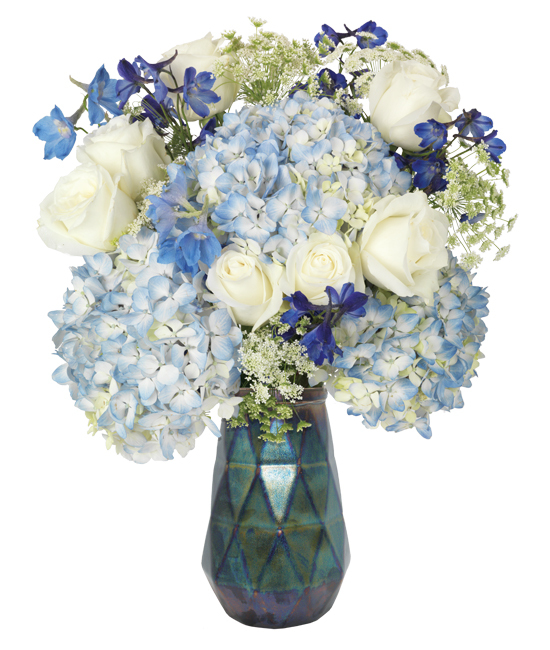 Snowball-shaped blue hydrangea, light and dark blue delphinium, Queen Anne’s lace, and white Blizzard roses become a winter wonderland inside our icy blue multi-faceted vase. An ideal choice for that someone special on Valentine’s. Remove all foliage that will fall below the water line. 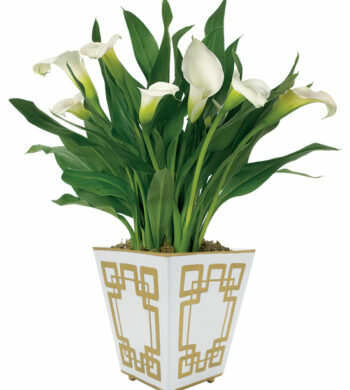 Trim 1/2″ from the bottom of each stem, making a diagonal cut to the recommended display height of your vase. Some varieties of flowers like hydrangea may look a bit tired upon arrival. Don’t despair! 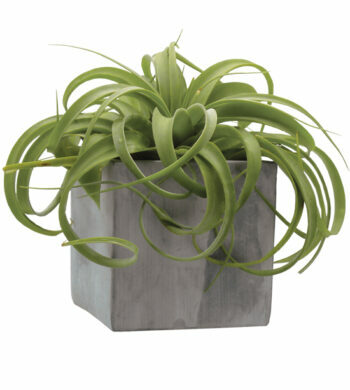 They’re healthy – just thirsty… submerge the blooms completely in cool water for approximately an hour, they will rehydrate and perk up within 24 hours. Surprisingly, hydrangeas may demonstrate an almost unquenchable thirst. IMPORTANT! Always add fresh water daily. Remove the “guard petal” on each rose – this is the outermost petal left on to protect the bud during shipment. 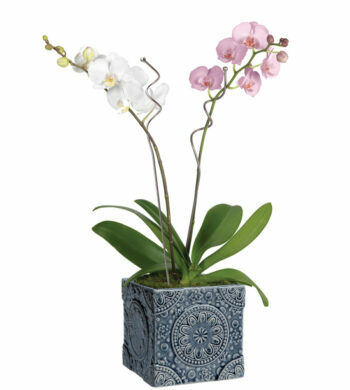 You may also remove any petals that may have slightly bruised during shipping.